A couple of weeks ago the crew from Matchstick Productions rolled into Whistler for their annual jump shoot, this year for their new movie &quot;CLAIM: the greatest ski movie...ever!&quot;&nbsp; I caught up with them to find out just what it takes to organize and shoot one of these monster features that have become so synonymous with their movies. 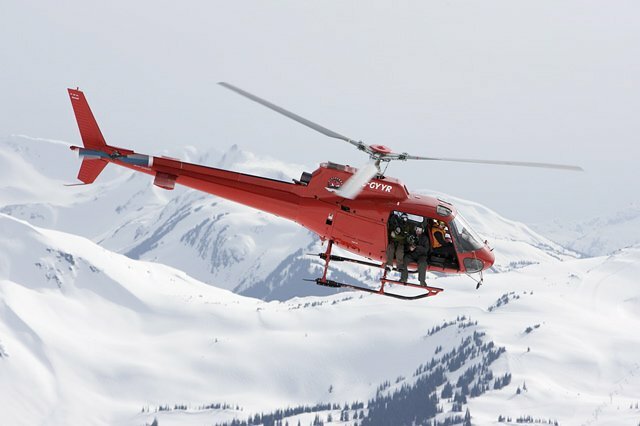 Planning for the shoot began way back in March when I joined Whistler Blackcomb&rsquo;s public relations coordinator Ryan Proctor and parks manager Brian Finestone while they scouted potential locations for the shoot.&nbsp; They had been asked to look for a spot that could be filmed using cable cameras instead of (or along with) the helicopter.&nbsp; This meant looking for a location surrounded by trees that the cables could be anchored to.&nbsp; But the location also needs to have a deep enough snow pack; roughly 100 tonnes of snow was required for the feature they were looking for.&nbsp; We checked out a location in the park and also at the top of the Jersey Cream chair where a large amount of snow had drifted that they could use for the build. 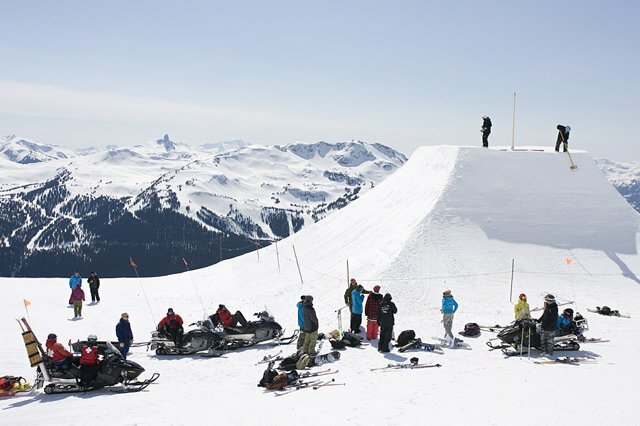 Eventually it was decided that the cable cam locations would not suffice and the location below the couloir next to Jersey Cream did not have the backdrop that they were looking for.&nbsp; With Whistler Mountain closed at the time of the shoot, the decision was made to head back to the same location as last years shoot on 7th Heaven, but this time to build a giant hip instead of a JOI-style booter. Which riders are scheduled for the shoot?&nbsp; With all the guys seeming to be so busy these days it must be hard to get everyone together in the same place at the same time? Absolutely, very tricky. &nbsp;These guys are getting pulled in a million directions all the time by sponsors, competitions, injuries, etc. &nbsp;The line-up for the shoot comes together based on who's the first person to step up and commit to being there. &nbsp;We allow for a certain amount of people to participate and then put the invitation out to everyone on the crew. Typically, the first 4-5 people to confirm are the ones who are in. &nbsp;This year, the line up is PK Hunder, Sean Pettit, Colby West, Jacob Wester, and maybe Eric Hjorleifson. &nbsp;It's cool because Colby was the new guy on that shoot last year, and now he's the only returning skier on the shoot, just by chance. 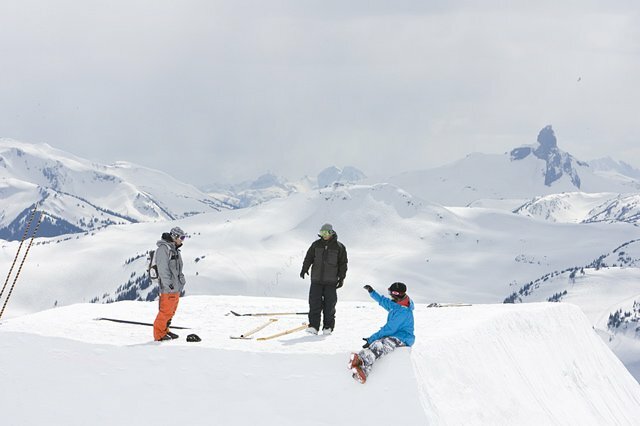 &nbsp;Jon Olsson is out with a tweaked knee for a little while, Simon Dumont is focusing on shooting in the backcountry, Sammy Carlson is in Alaska, TJ Schiller's rehab'ing his knee, Mark Abma is on a different trip in Alaska, etc. &nbsp;So yeah, the bottom line is that it's tough to figure it out with all these guys. 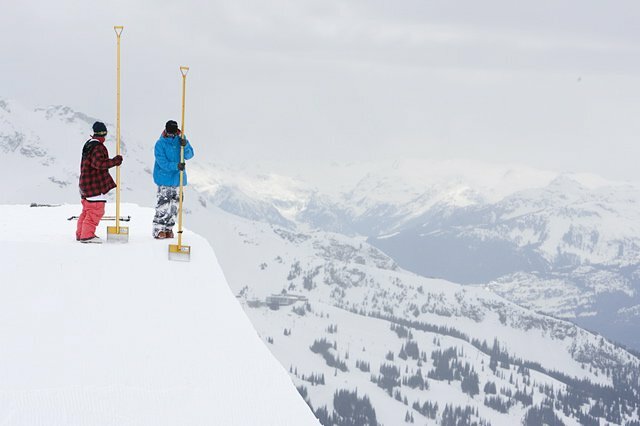 &nbsp;We're lucky to work with a deep pool of super talented skiers who we can go to on a shoot like this. How many other filming units do you have out filming simultaneously right now? 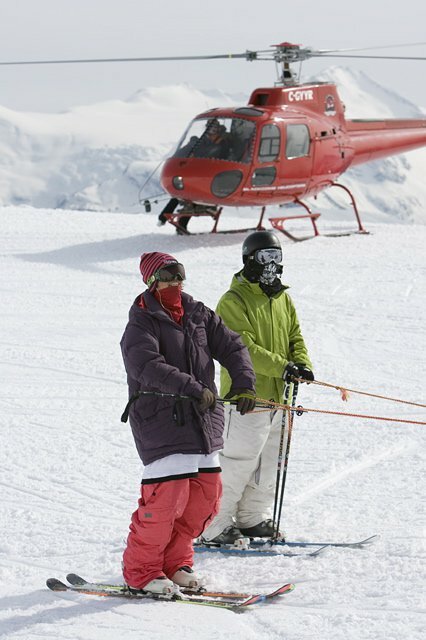 We've got one crew going in Valdez with Abma and the Salomon guys, and another small crew in Haines right now. 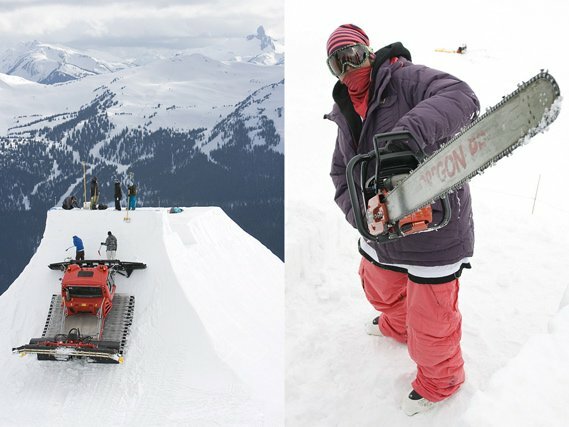 &nbsp;Both of those things will be going on during the Whistler jump shoot. 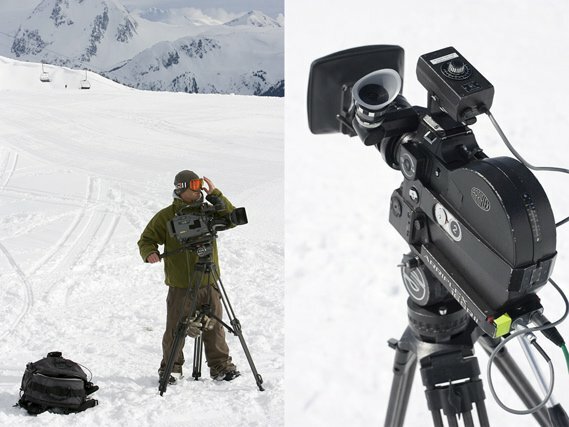 Wow, so how many cinematographers will be involved in shooting the Whistler feature then? There will be four, Steve Winter, Murray Wais, Nate Nash, and Dustin Lindgren. What kind of cameras are they shooting with to get the high quality we are used to seeing from you guys? Theres a combination of 16mm, high-speed 16mm, super-compact high-speed 16mm (the camera that Colby shot the POV stuff with last year), and HDV. 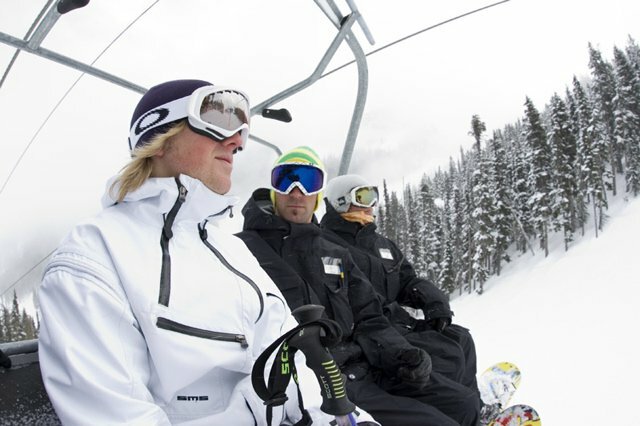 We have a good relationship with Blackcomb Heli because we work with them so much over the course of the year. 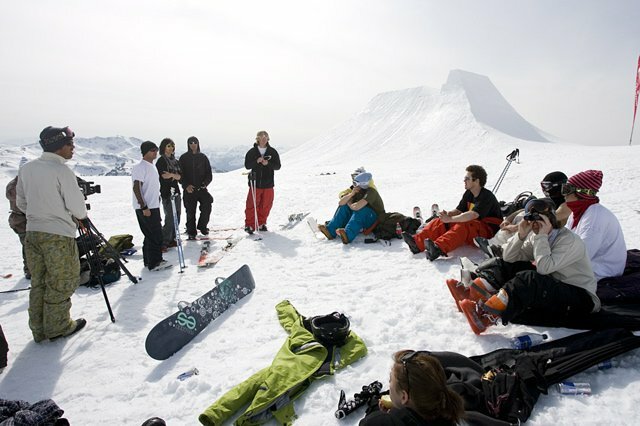 &nbsp;But yes, it's a constant standby scenario...waiting on the perfect weather, snow conditions, light, and that moment where the athletes are totally feeling it. &nbsp;That's what it takes to get those really epic shots. &nbsp;It's a challenge for everyone involved, but it's worth it. &nbsp;There's a good window of time to work with, but that's never a guarantee that it's going to happen according to our schedule. 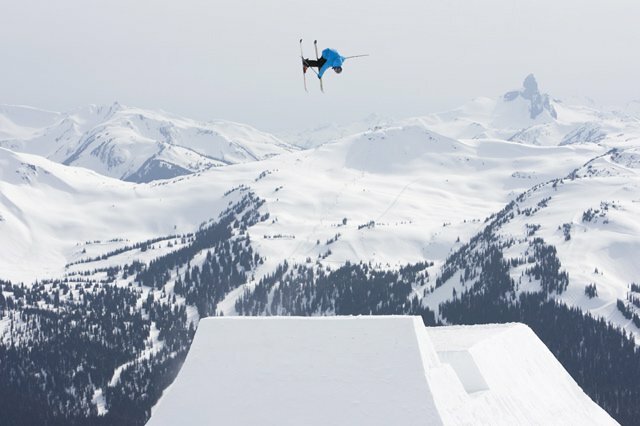 &nbsp;The Whistler jump shoot took a full two weeks last year. 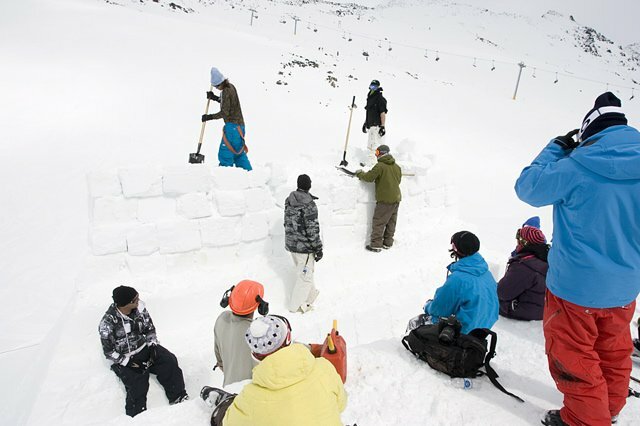 Fast forward a couple of weeks through the Telus festival and I get an email from WB&rsquo;s Ryan Proctor telling me that construction is underway.&nbsp; It would take the two park groomers, Marty Gautrey and Oleksander Iskat, 120 hours of cat time to get it built, with the riders, cinematographers, photographers and park staff spending another couple of days hand shaping it to its finished perfection.&nbsp; The riders headed up to meet with park shaper Marty so that they could tell him just what they needed. Next day the clouds rolled in.&nbsp; Eager for something to do, PK, Jacob and the MSP crew headed up to the hip with a chainsaw to make a few adjustments.&nbsp; The idea was to put a huge &ldquo;tombstone&rdquo; on the lip to extend the transition and make it feel a little smoother.&nbsp; It would probably work without it, but with time to spare they set to work with the help of the park crew anyway.&nbsp; The forecast for the next day was better, clear skies and warmer temperatures so the helicopter, patrol and snowmobile crews were put back on standby. 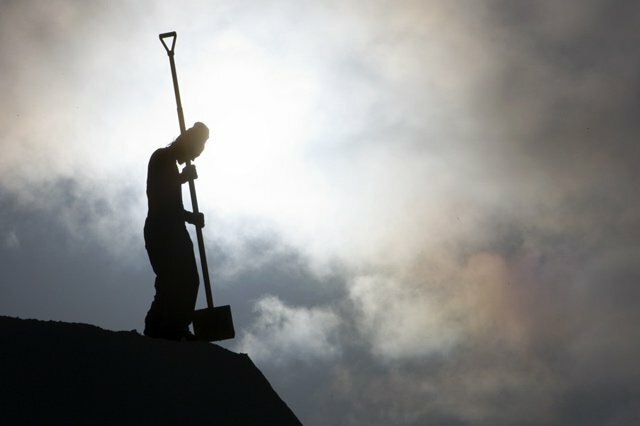 Everyone pitching in to get it done. By now it was Friday and as I loaded my skis onto the gondola in the village it certainly seemed a lot warmer that it had earlier in the week.&nbsp; Arriving at the hip though, it was clear that the adjustments they had begun the day before were taking longer than anticipated.&nbsp; The lip had been extended by another six feet but it was yet to be shaped and the whole thing needed to be tidied up considerably if it was going to look good in the film and photos.&nbsp; As we swarmed over the feature trying to get ready in time, the riders were still concerned about the hard landing, as it wasn&rsquo;t warm enough yet.&nbsp; The decision was made to postpone it one more day, but we kept the patrollers on hand for now to allow us to stay up the mountain prepping the hip to perfection for the next day, which was forecasted to bring much warmer temperatures in the alpine. This was cutting it close though and there were more than a few concerned looks from the film crew and WB&rsquo;s marketing and relations department.&nbsp; They knew that the crew was scheduled to leave on Sunday.&nbsp; Saturday evening would be the last chance, but while the forecast called for warmer temperatures, it also predicted some cloudy weather to move in at just the time they would want to shoot.&nbsp; Clearly this was going to come down to the wire. As the sun went down at the end of the day everything was looking perfect though thanks to Eric Hjorliefson&rsquo;s meticulous shaping. Sure enough on Saturday the temperatures climbed high and everyone gathered together at lunchtime.&nbsp; The call was made to begin filming earlier than normal even though the mountain was still open to the public, as the weather radars were showing the predicted frontal system moving in rapidly.&nbsp; The area around the hip was quickly roped off by patrol and a crowd soon gathered to watch the session begin.&nbsp; With insurance regulations preventing the use of the helicopter for filming during public hours, all cameras were on the ground to begin with. Sean Pettit quickly stepped things up after a few hits on the side, taking it right to the end of the hip and confidently declaring that he was just going to gap right over the whole thing next time.&nbsp; Taking a little extra speed into it and popping hard he was soon more than 20ft off the deck and cleared the whole thing easily, shortly followed by Jacob.&nbsp; PK and Colby turned up next and things were finally well under way. With an hour of sessioning under their belt it was decided to shut it down to give the patrollers time to clear out the huge crowd that was gathered in order to bring in the helicopter.&nbsp; Executive producer and MSP part owner Murray Wais gathered everyone together for a final briefing before his co-partner Steve Winter showed up in the heli.&nbsp; It was going to be a close call; we could now see the approaching front slowly beginning to obscure mountains on the horizon to the south.&nbsp; This needed to happen now and fast, landings needed to be stomped and tricks needed to be perfect&hellip;no pressure. But of course this is what these guys do for most of the year now, constantly dealing with the pressure of competitions and must-stick lines with big money and their own well being on the line.&nbsp; If any of them were nervous, it didn&rsquo;t show and with the heli swooping in behind them, the guys boosted higher and smoother than they had done before. A few words with up-and-coming photographer, Christian Raguse.